Utica, NY – Vancouver Canucks General Manager Jim Benning announced today that the club has reassigned forward Nikolay Goldobin to the Utica Comets. Goldobin, 22, has skated in 14 games with the Canucks this season posting four points (2-2-4). 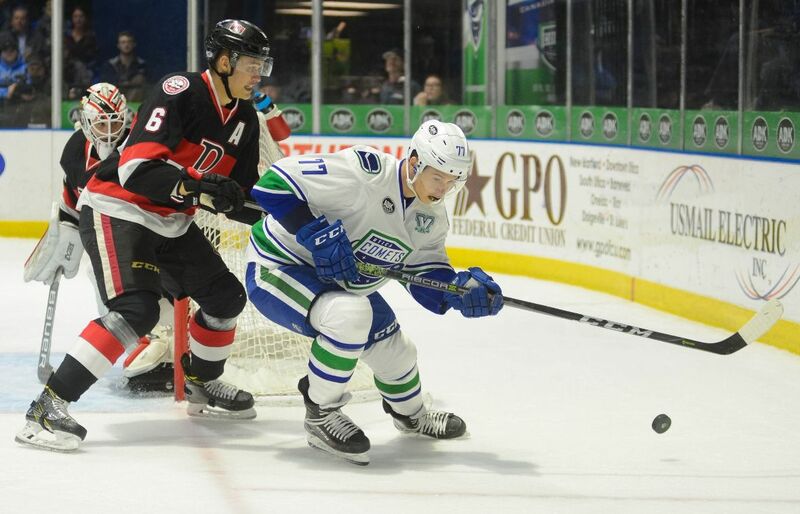 At the time of his recall on November 26, the forward led the Comets in scoring, collecting 19 points (7-12-19) in 18 games played. The Moscow, Russia native has appeared in 136 career AHL games with Utica, the San Jose Barracuda and the Worcester Sharks recording 113 points (50-63-113). He was originally drafted 27th overall in the 2014 NHL Entry Draft by San Jose.